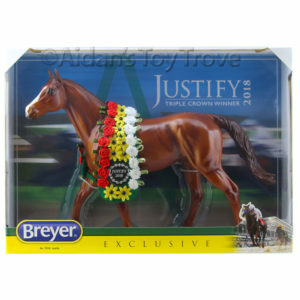 Historically, Breyer has released a Special Run for Collector’s Club members on Christmas day. This year was no different. 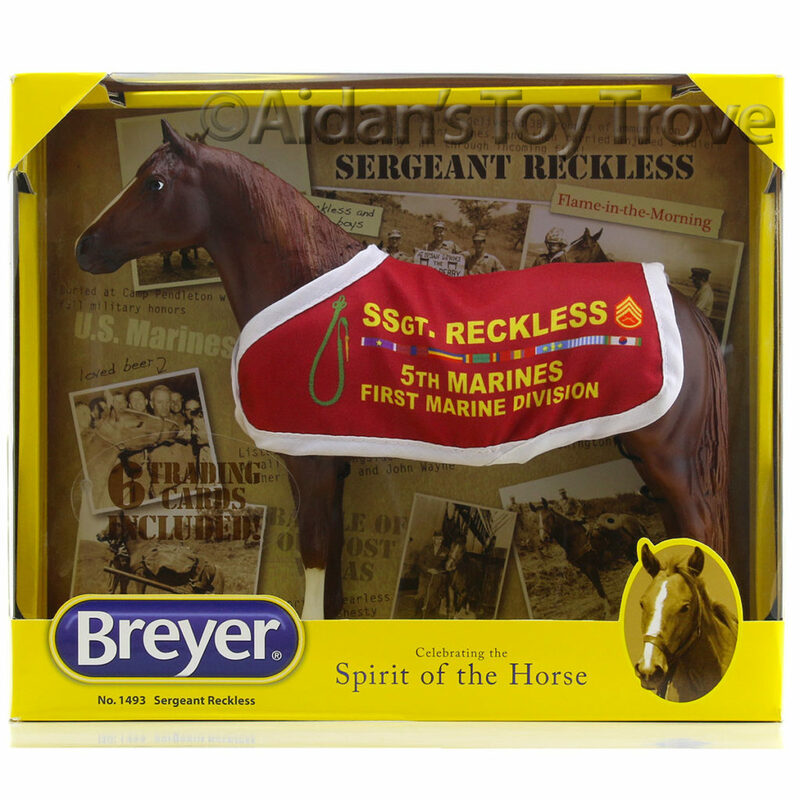 Collectors were treated to the Breyer Santa Surprise 711259. 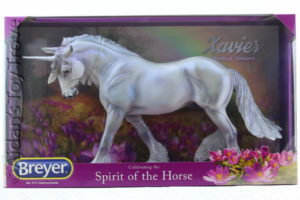 The mold was Wintersong as a Unicorn who’s current release is Xavier. 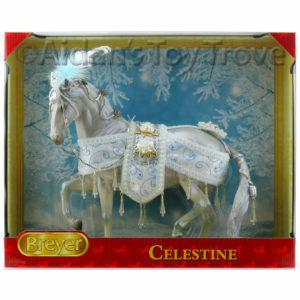 The Santa Surprise was limited to one model per Collectors Club membership but sold out quickly. The release time was somewhere around 5:00am est and the Santa Surprise models were all gone by 11:06am est. 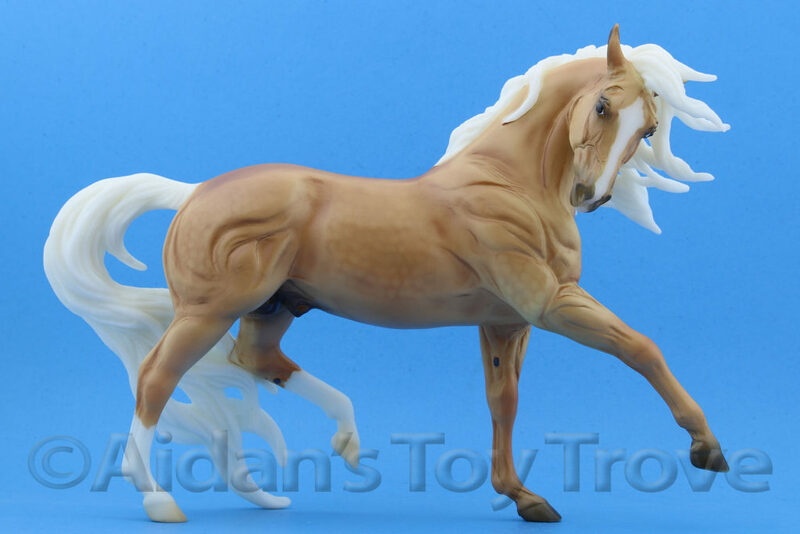 This was especially disappointing for west coast collectors who were largely still asleep. 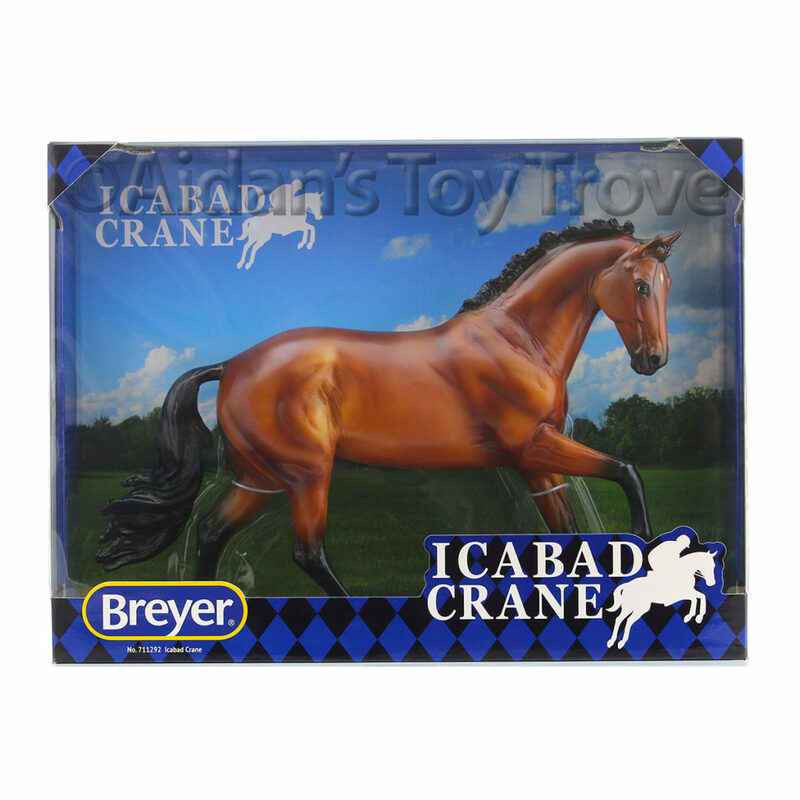 I would like to see Breyer split the release for runs like this at different times throughout the day and would love to hear other ideas on how to make a sale like this fair to all. Of note, this particular model was more expensive than past years. The Santa Surprise was priced at $150. Past year’s Christmas Day Special Runs have been $85. 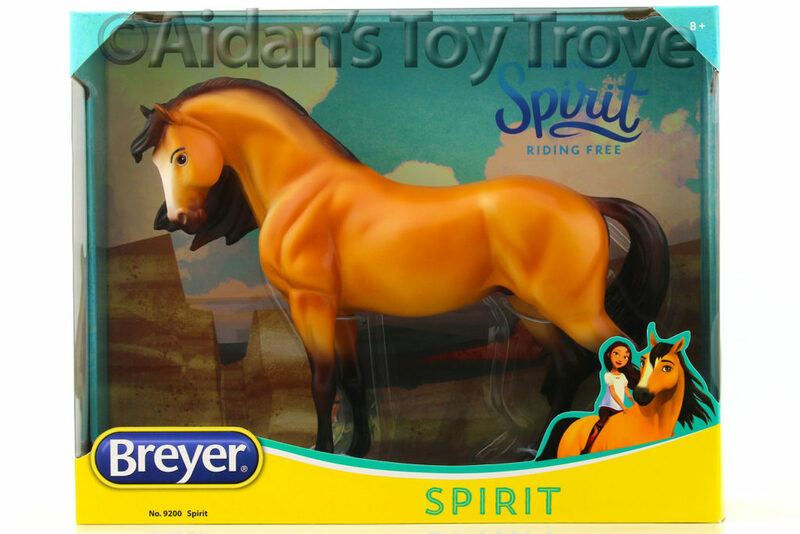 Free shipping was included but it appears that international shipping was glitched and international customers are receiving partial refunds for the cost of shipping. Domestic shipping was calculating correctly and was free. 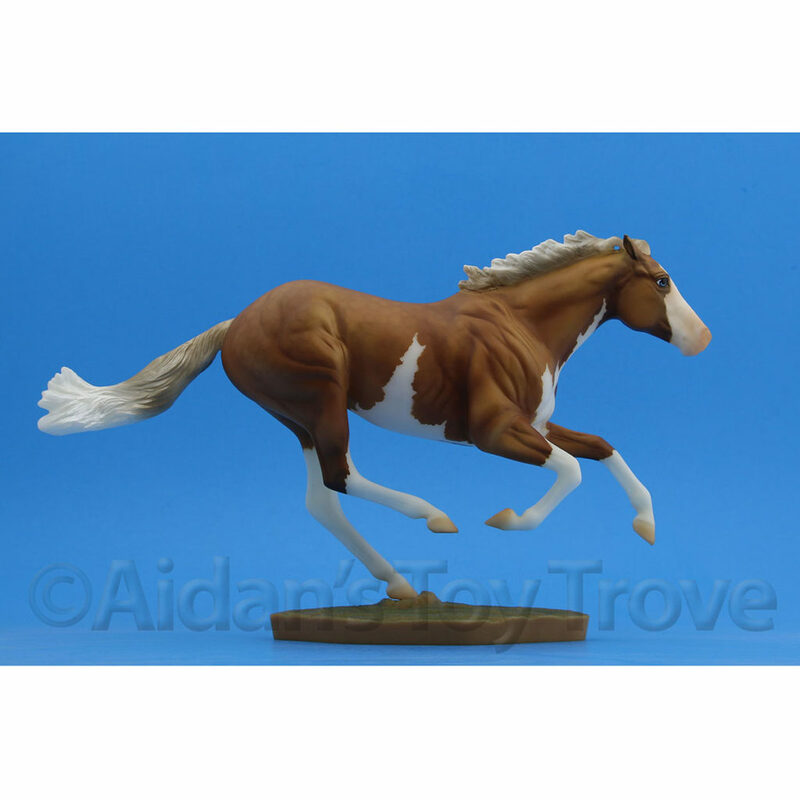 Combining shipping with something like the Stablemate Club Darley voided the free shipping. 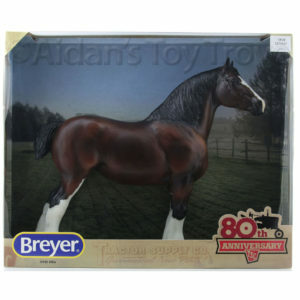 I could write a whole blog post about Breyer’s new website but that’s a discussion for a different day! I personally do not feel that the price tag of $150 was out of line but understand the shock and dismay of those who had budgeted for $85. 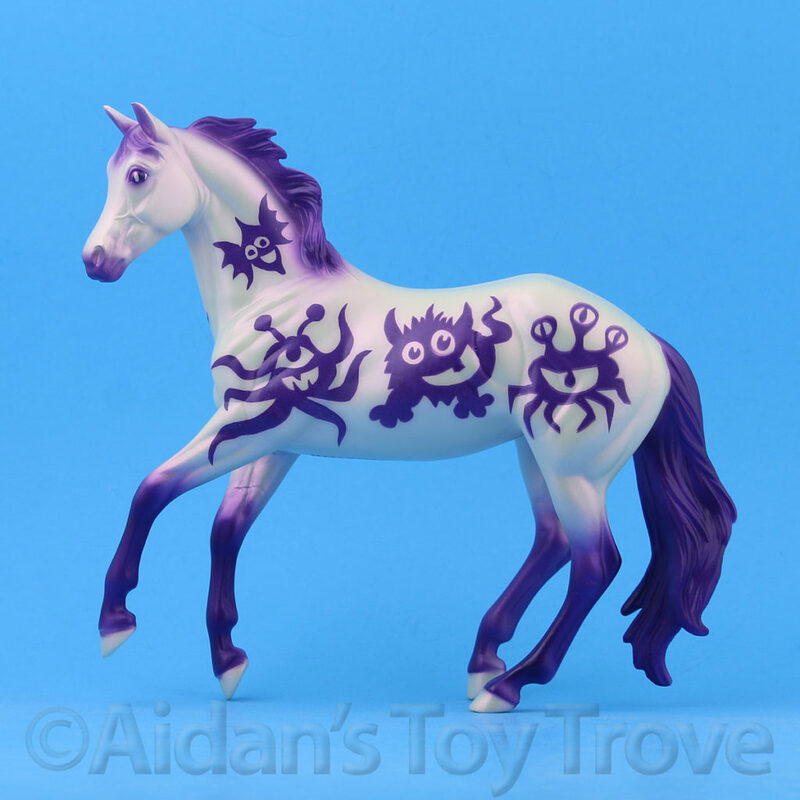 The Wintersong mold is highly desirable and like it or not, unicorns are ‘in’ right now. To top it off, the size of the Wintersong mold makes it both more expensive to produce and more expensive to ship because of the extra weight. 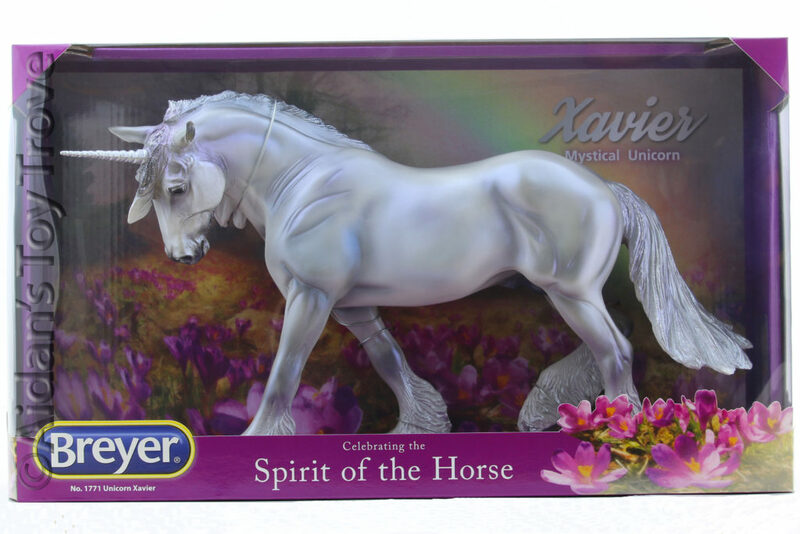 Rumorsare flying that the Santa Surprise is repainted overstock of Xavier but I personally feel that this information is false. The Santa Surprise was offered in 3 colors: green, gold and blue. 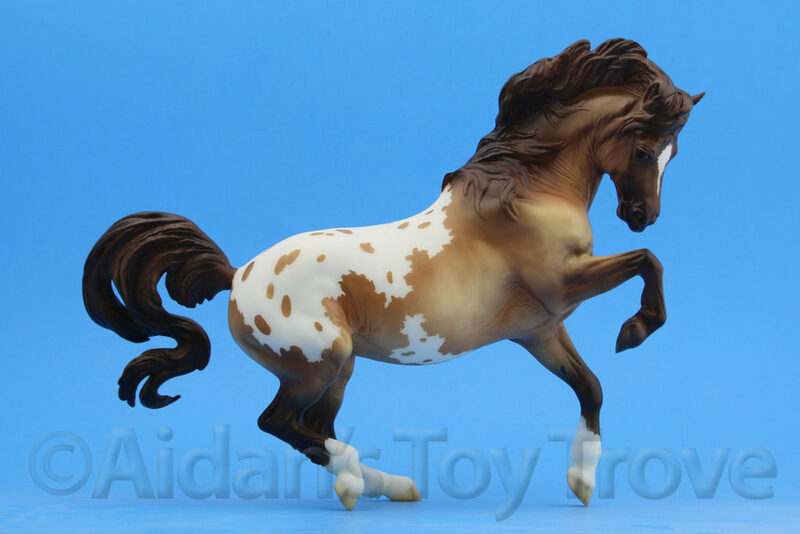 These decorator colors were pearly with glitter in the manes and tails. 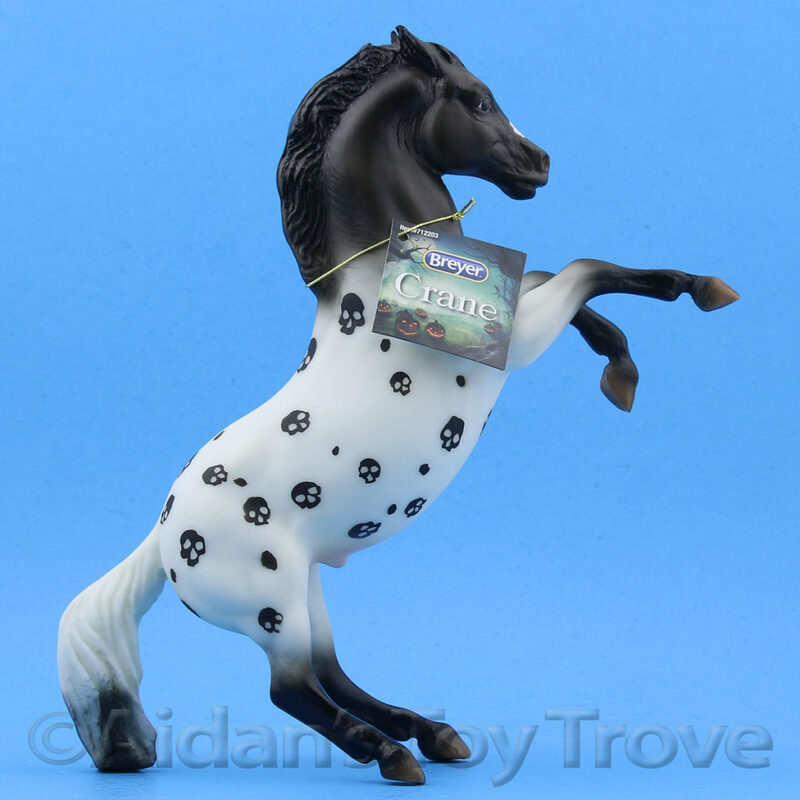 The rarest model of this run was not in fact a unicorn at all but rather a glossy black Brighty who was aptly name Coal. 12 Coals were blindly distributed. 350 of each of the Santa Surprise decorator colors were produced making a run total of 1062. 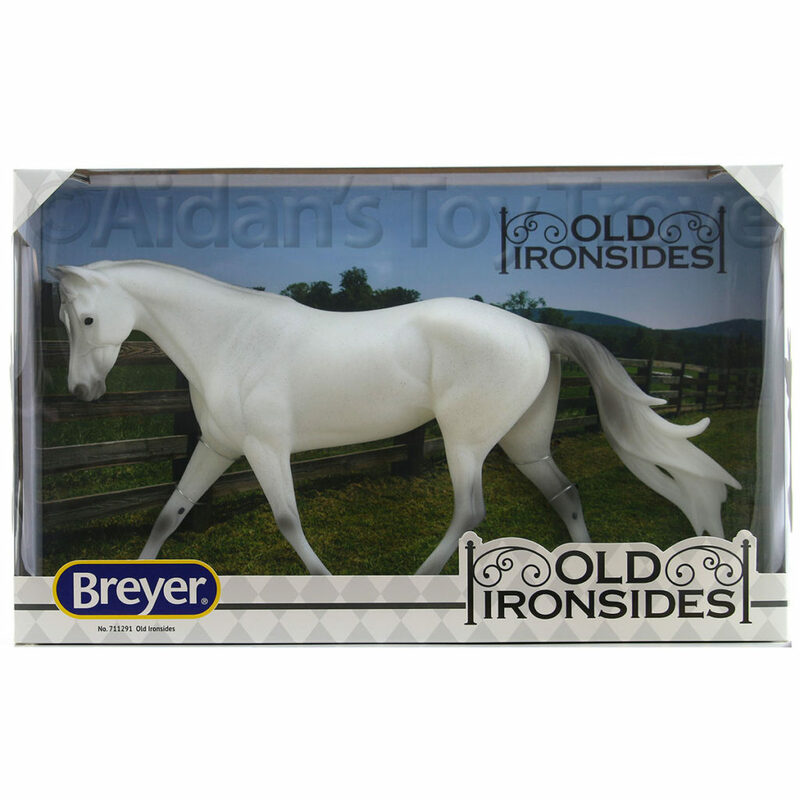 Breyer seemed to have taken more care in sending different colors to people who ordered multiples and avoiding another Fruitcake fiasco. 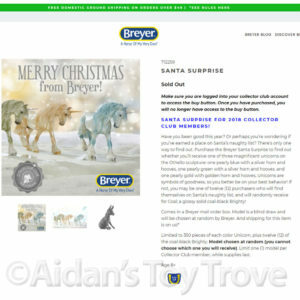 SANTA SURPRISE FOR 2018 COLLECTOR CLUB MEMBERS! Have you been good this year? Or perhaps you’re wondering if you’ve earned a place on Santa’s naughty list? There’s only one way to find out. 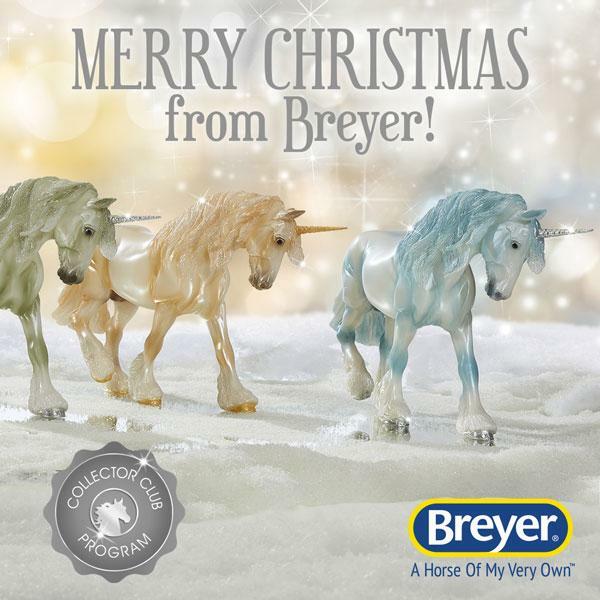 Purchase the Breyer Santa Surprise to find out whether you’ll receive one of three magnificent unicorns on the Othello sculpture: one pearly blue with a silver horn and hooves, one pearly green with a silver horn and hooves, and one pearly gold with golden horn and hooves, Unicorns are symbols of goodness, so you better be on your best behavior! 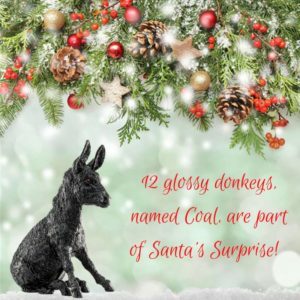 If not, you may be one of twelve (12) purchasers who will find themselves on Santa’s naughty list, and will randomly receive for Coal: a glossy solid coal-black Brighty! 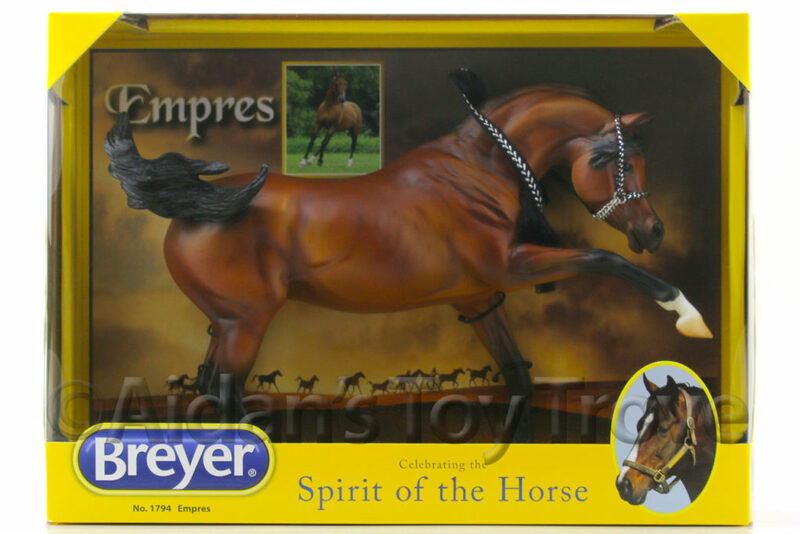 Limited to 350 pieces of each color Unicorn, plus twelve (12) of the coal-black Brighty. Model chosen at random (you cannot choose which one you will receive). 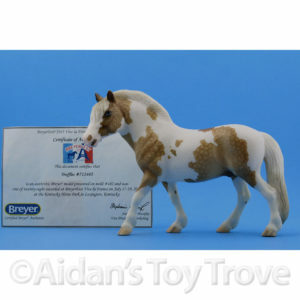 Limit one (1) model per Collector Club member, while supplies last.